There are some basic types of loans: mortgage loan, consumer loan, car loan and leasing, business loan and fast loan. All of them are offered by banks or other financial institutions. Mortgage loans are popular everywhere. 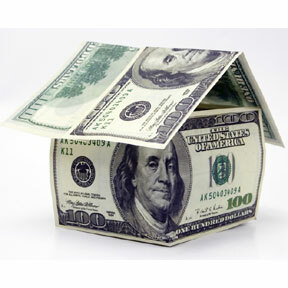 They are an easier way to buy a new home or gain enough money to develop your business. Banks require having a real guarantee to lend a larger amount of money, so mortgaging a house is risky, but an easier way to assure a loan. Statistics show that in Bulgaria many young families use mortgage loans with comfortable conditions and financial aid from the government. Consumer loans are the most widespread ones. They differ from the mortgage ones in some ways. The amount of money that banks lend is lower- between 15 000 and 20 000 euros. The revolving term of a consumer loan is shorter- between 10 and 15 years. The interest rate is higher- the limit is between 20 and 25 per cent. There are several types of consumer loans: with or without warrantor, with pledge of money or government securities, specialized for liberal professions such as physicians, pharmacists, lawyers, accountants, architects, etc. Car loans are designed to satisfy concrete needs. It is possible for each candidate for a car loan to choose between a financial or operational lease. The financial one is a suitable option for people who want the car to become their property. The operational lease is a good choice for these types of companies that need up-to-date cars all the time. Business loans are dedicated to corporate entities. Usually, these loans are divided in two principle types: business loans for investing and working capital loans. The first type helps providing the company with lasting tangible and non-tangible assets. The second one covers the corporate borrower’s current costs. Working capital loans often are in any of these forms: overdraft, credit lines, revolving loans, bank guarantees, etc. Banks strive to satisfy their clients’ needs. During a crisis fast loans become more used. Often they are granted by financial companies, not by banks. These institutions do not have tough requirements and grant credits fast. The granted sums are small and people use them in emergencies.